Choosing the best stock trading site ultimately depends on the trader’s priorities. Whereas some traders do not mind paying up higher commission amounts for technically advanced trading platforms, others would not want part with extra money at any cost. However, to successfully trade stocks from an online website, it is important to choose the best one most suited for the trader. There are online stock brokers that have won awards for the best customer support, whereas many other are popular for the inexpensive stock trades that they provide to powerful trading and analysis tools that they offer. In such a scenario, consideration of the following factors is important to choose the best stock trading site. Some stock trading sites require a minimum amount to be deposited before one can start trading. This generally narrows down the choices depending on the amount to be deposited. Some online stock trading sites charge $1000 and upward to start trading. Firstly, it is not possible for brokerages to make any money with small deposits and, secondly, it is difficult to diversify the investment when the amount invested is very small. However, it is also encouraging to note that there are many high quality sites that do not charge a minimum deposit to start trading with them. These two are listed among the best online sites for trading in stocks. Just in case your choice is the one that demands a minimum amount to be deposited, it is a good idea to save the money and start when you are ready. Most stock trading sites charge a commission for executing the trades. It is vital to be aware of the commissions that you pay up for your stock investments with the broker. Most online brokerages charge commissions of $5 to $10 per trade that is executed on the site. There are others that charge a commission on a per-share basis. This helps the trader to determine the most cost-effective broker. There are practically no brokers that do not charge account fees. However, it makes sense for the trader to try and minimize them. Brokers charge a fee for transferring funds out of the account. Many charge account closure fees as well. Sometimes it happens that a new broker bears a portion of the transfer fee if you are transferring your account to a new brokerage site. There are other fees that can eat into the trader’s pocket: inactivity fee, annual fee, trading platform fee, fee for trades assisted by the broker, research and data fee, etc. However, some of these fees can be avoided by deciding to opt out of specific services provided by the broker. The trader should have a lot of clarity as regards the trading style. As an example, a beginner trader would trade as frequently as an experienced one and should therefore not lose out on inactivity fee. It is a good idea to search and find brokers that offer the investments at the most reasonable rates. The beginner trader would also not require an advanced trading platform and can this avoid the associated fees for such an arrangement. A beginner trader should always opt for training and educational material. Most online stock trading sites offer these for free. An active trader would need support in terms of analysis tools, would need to consider the quality of the trading platform, research and data input to help with the trading, etc. some of the brokers also offer discounts on fees for high volume trades. Some of the best stock trading sites offer many services for free. Therefore the trader must weigh carefully when brokers charge for each of the services that they provide. There are also other high-quality brokers that charge higher commissions but offset this by providing advanced trading platforms (Charles Schwab, TD Ameritrade). Time to time, brokers offer promotions to attract new customers. Cash bonuses and commission free trades are common. 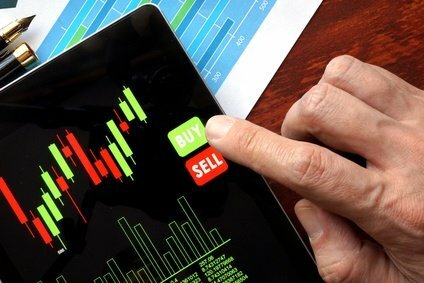 Though it is not the best idea to choose a stock trading site only on the basis of the promotion that they offer, it may be good enough to give you a slight advantage when you have to decide between choosing one of the two brokers to tie up with. Check the site’s availability at different times along the day, especially during peak hours. It is important for a trader to make sure that the trading site is available at all times. The site should load quickly and the trader should ensure that given links are working as they should. A trader should know that most stock trading sites offer a variety of products in addition to stocks: CFD, bonds, futures, etc. The selection of products for investment is therefore important. It is important to check the customer service that the broker offers. Most successful stock trading sites offer 24/7 customer support and service. Some of the stock trading sites also provide customer support in multiple languages to help trader from different parts of the world. The speed of response is also an important factor to consider. It is not in the best interests of the trader to wait for the answer to a trading query for long period of time. It is a good idea to explore if the stock trading site offers alternate methods of placing trades. Many firms offer the conventional telephone talk with the broker and ordering through faxes. Some of the more modern stock trading sites also help investors on the go with mobile trading apps which can be used to trade while on the go. It is important for the trader to do some research about the broker before tying up with the firm. It is a good idea to get a few reviews from present or previous clients. If the reviews are excellent, the broker can be teamed with immediately.